Scariest Online Games You Should Be Playing Right Now! Most human beings enjoy feeling scared. According to Dr. David H. Zald, a psychiatry professor at Vanderbilt University in Nashville, Tennessee, "for many people, everyday life can feel overly routinized and even boring. By contrast, when scared we are fully aware, conscious, and in the moment. We are not preoccupied thinking about what happened yesterday or what we have to do tomorrow." Screenshot of The House 2. Dr. Margee Kerr, a sociologist from Pittsburgh and self-proclaimed "scare expert," adds that "psychologically when we make it through a safe yet scary activity, it results in feelings of confidence, competence, accomplishment, and success—it’s a real self-esteem boost." Conclusion: "safe" fear is actually good for you! Since we care about the physical and mental well-being of our readers, I have compiled a short list of the best free horror games online. Enjoy them with the lights off and your headphones on. Designed by Scott Cawthon, this game is quite possibly one of the scariest games one can play online. 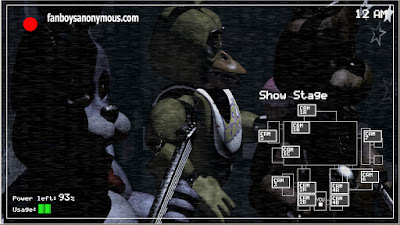 In it, the player controls a character who just got a job as a night security guard at a pizza restaurant à la Chuck E. Cheese called Freddy Fazbear's Pizza. 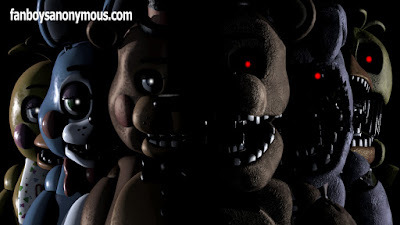 That would be the case if you didn't get a call from your boss at the beginning of the game letting you know that Freddy Fazbear and his other animatronic friends come alive at night and might kill you. 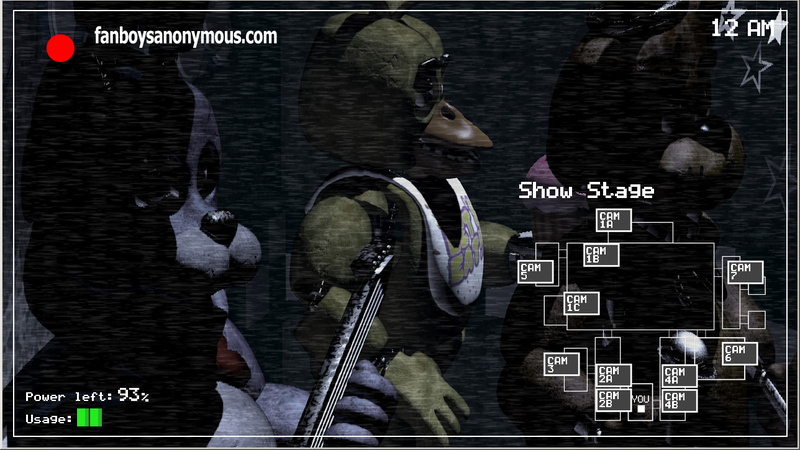 To play Five Nights at Freddy's is to get in touch with crushing paranoia. The player is not able to move or fight back. The only way to protect yourself is to track the robots' movements through several security cameras and, if they get too close, shut the doors at the office to deter them from getting to you. The problem is that you only have very limited electricity you are allowed to use per night, and it gets drained whenever you use the doors. If you run out of power before the night is over, Freddy and his pals will get to you, and since they don't understand human anatomy, they will try to stuff your lifeless body into a furry suit. The success of this game has been so overwhelming that Hollywood will adapt it into a movie. Warner Bros is heading up the project and Roy Lee of Vertigo Entertainment (The Ring, The Grudge), Seth Grahame-Smith, and David Katzenberg of KatzSmith Productions (both from the Beetlejuice sequel) will be producing it. View of one of the security cameras. 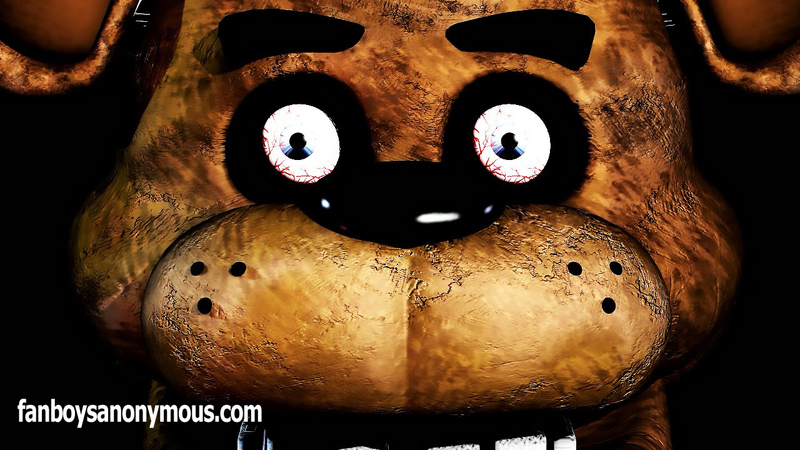 Want to try your fate at Freddy's? You can find the original game (right now it has three sequels) at Desura. 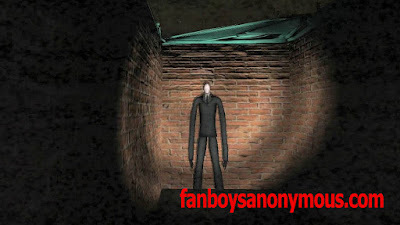 First released on June 2012, Slender: The Eight Pages is a first-person minimalistic game where the player needs to collect eight pages of creepy scribbles and drawings while avoiding an encounter with the dreaded Slender man, a faceless creature with extremely long limbs. Every time Slender gets closer, static fills the game camera, and it is up to player to run as fast as he or she can to escape! A follow-up to the not-so-scary Slenderman, it was deemed by IGN as "pure horror" and that only a "few horror games thrust you directly into the heart of fear (...). Slender is the kind of game that unearths that long-lost sensation inside of you whereby you'd play a game for the addictive novelty value it possessed and not the budget that was thrown at it." 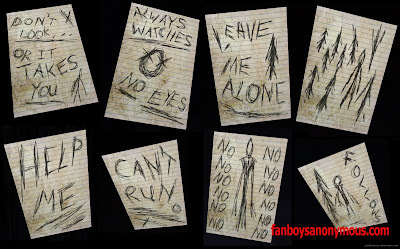 Slender man himself already had a solid fan base before Eight Pages. In fact, you can find out more about this character and some other disturbing facts by clicking here. 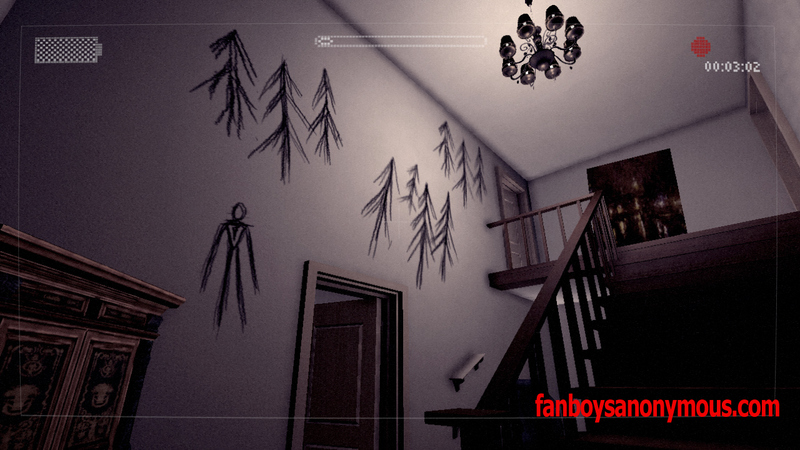 No matter what Slender game you decide to play, you will definitely enjoy jump scares and a lot of tension. Screenshot from Slender: The Arrival. If you are simply looking to quench your thirst for jump scares, look no further. This sequel to Sinthai's point and click flash game The House is filled with them, and since it is short enough for you to complete it in less than an hour, you will get instant gratification. This is also a good game to start out with if you are new to the horror game genre. The story, however, is not the most original. (...) Legend has it that there is a house in a small town that has been closed and left empty for decades. The house belonged to a wealthy family. But then one day, all family members; father, mother, daughter, and the maid were found dead in the house from what appeared to be suicide. From that time, the neighbors have closed the house for good as they believe that the house where the whole family committed suicide is cursed. Some said that they heard a woman's screaming voice from that house. Yet no one dare to enter the house.....[will] you? 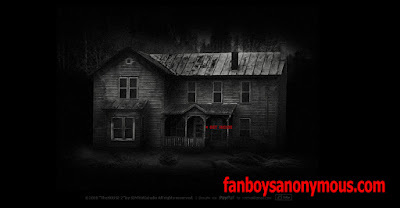 It is up to the player to enter this forsaken home and investigate each of its rooms, gathering clues along the way to find out what really happened to the deceased family. Unfortunately, the playability of The House 2 is not top notch, and the point-and-click controls can get a bit wonky. In order to advance in the story, for instance, you have to click on the same items several times before you can get any result. Prepare to flush the toilet over and over again, click on the light switch again and again, check out the same piece of paper several times...before a creepy ghost jumps out in the screen and makes your heart skip a few beats. One of the clues you will find. Dungeons Nightmares is a very intense indie horror game. It is not only randomly generated (i.e., every time you play, the game will be different) but also filled with jump scares, paranoia-inducing darkness, and sound effects guaranteed to make your heart beat faster. "Keep moving. They know where you are." The premise of the game is quite simple. You wake you in a dungeon every night for seven nights straight, and you have to figure out a way to survive in almost complete darkness while strange creatures and skeletons chase you. You are armed only with a flimsy candle that keeps going out and a map. On your way through various rooms, you can unlock chests and doors, but be aware, they do not open quickly. 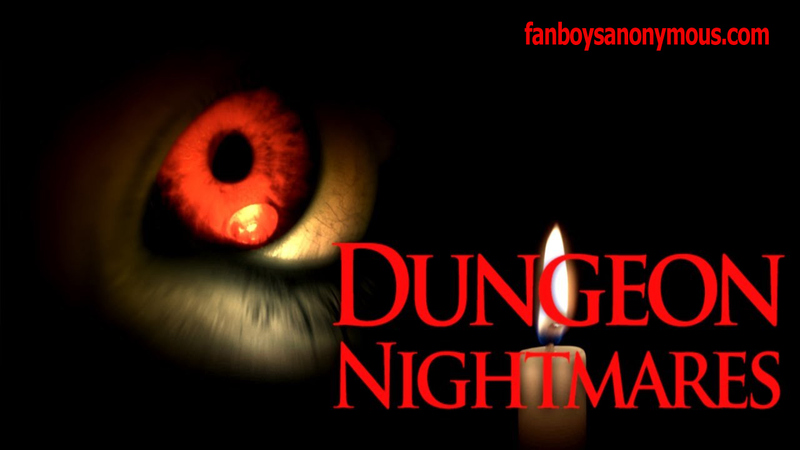 Dungeons Nightmares plays with one of the most basic human fears: fear of the unknown. It is not made clear where you are or what is going on, and every corner you turn seems darker than the last. A ghoulish woman will come after you. The sound design in the game is highly successful. Just like with all the other games presented in this article, play it with your headphones. You can check out this game at Gamejolt.com. Are you ready to try your hand at these beauties? These games are not for the faint of heart and Fanboys Anonymous does not hold any responsibility for ruined underpants. So play responsibly. What do you think of these games? Any other games we should had included in this list? Let us know by leaving your comments below!